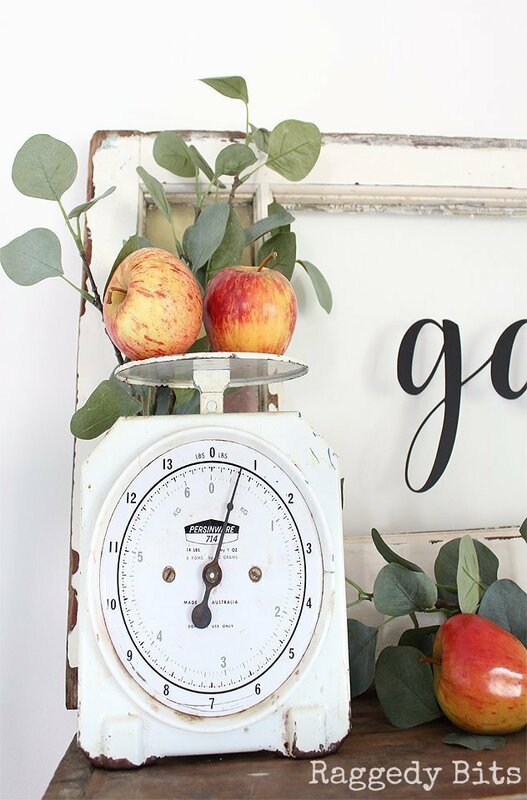 Forever changing vignettes around our home is a common occurrence! It does tend to confuse my hubby a smidge when he leaves for work and the house looks a certain way. Then upon his return, it looks completely different! 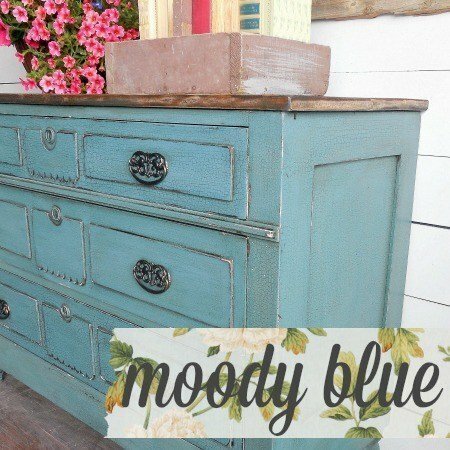 This sure was the case for a slight vignette change that I made to our side board. Trust me there’s a very awesome reason for this and it all happened around our Farmhouse Gather Window Sign. So you’re probably wondering what the awesome reason for the change? Surprise!!! 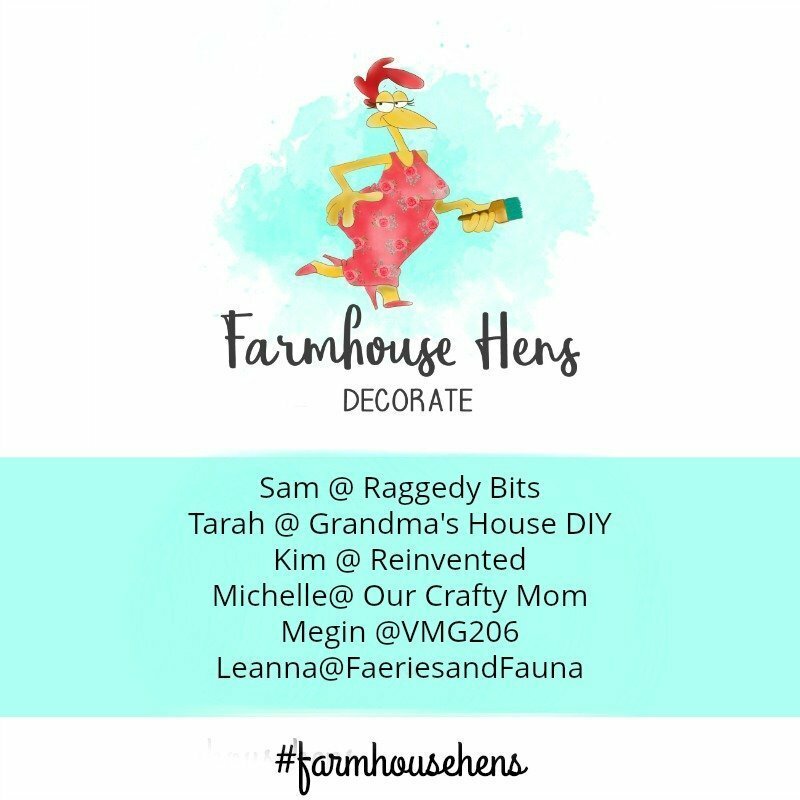 and Welcome to the very first Farmhouse Hens Decorate Blog Hop!! 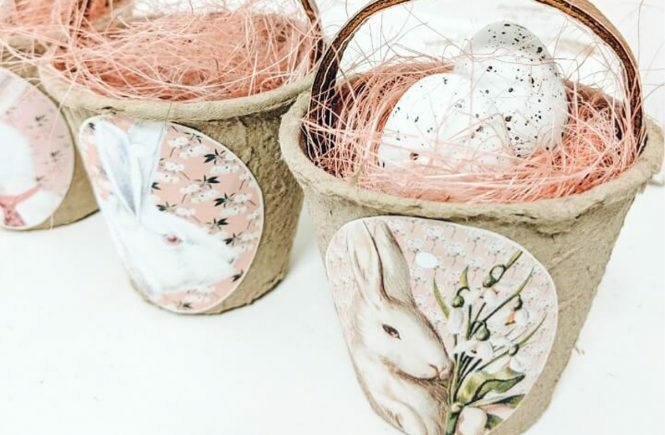 We are all super excited to introduce our shiny brand new blog hop! 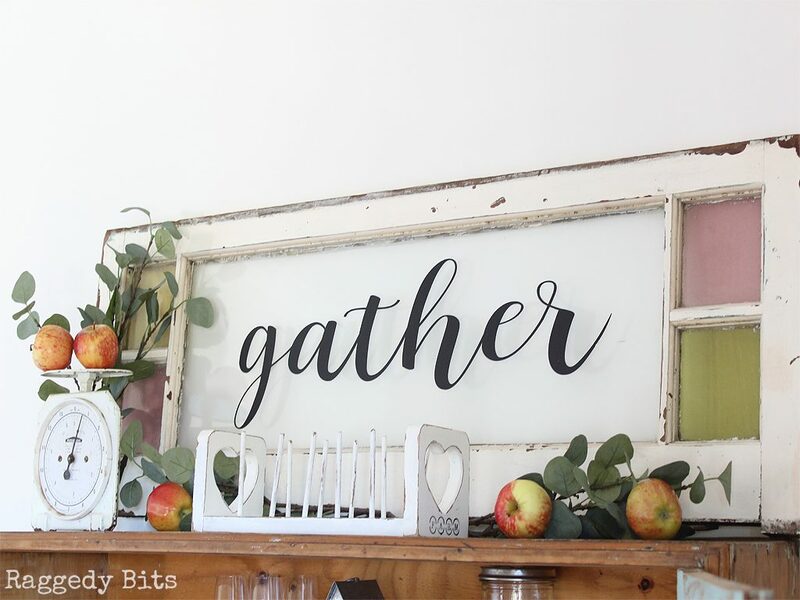 Once a month, five of my favourite bloggers will be joining together to create our best farmhouse decor to share with you. 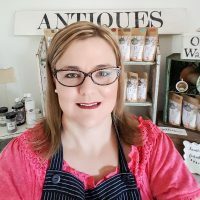 Be sure to check out what they have been up to below! Now let’s get down to making a vignette! 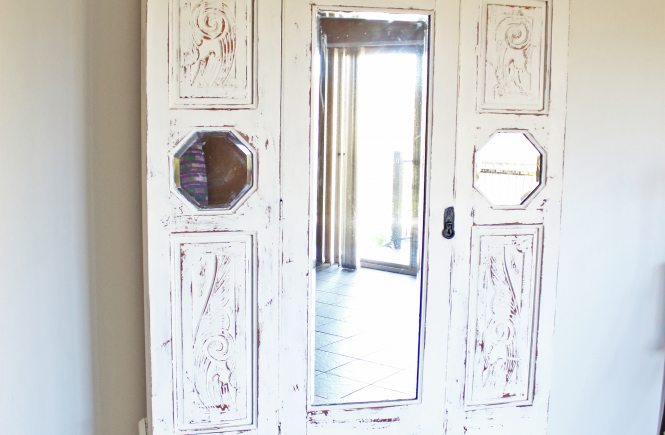 Old Window – They can be found at old Salvage yards. Keep an eye out to when your neighbourhood is having kerb side cleanups. 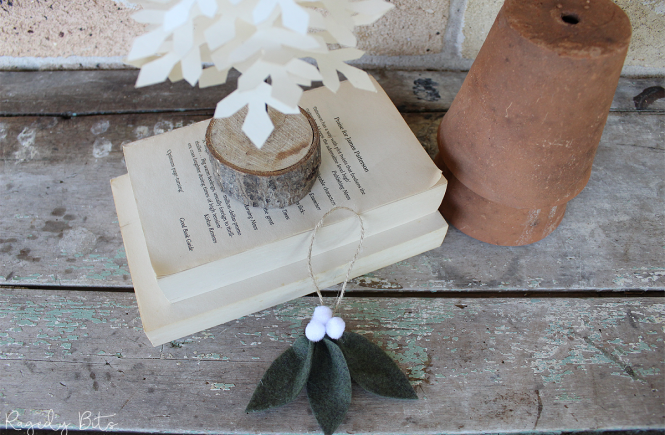 Faux Greenery – I used Faux Eucalyptus sprigs from Ikea but these ones from Amazon will do the trick. 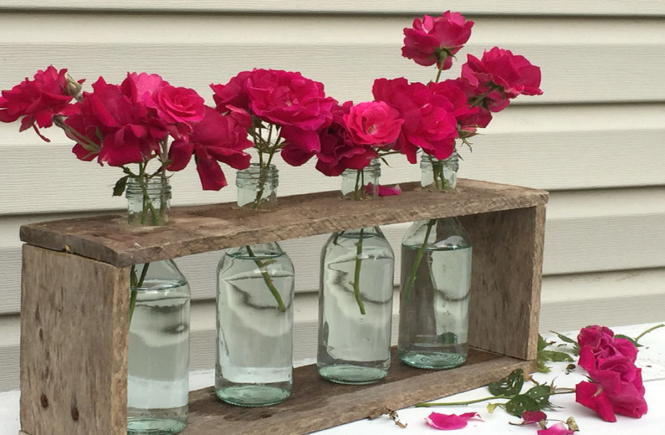 You can also use real greenery straight from your garden. I would have but we have just moved house and couldn’t locate our ladder!!!! Step 1 – Clean your window removing any dirt. 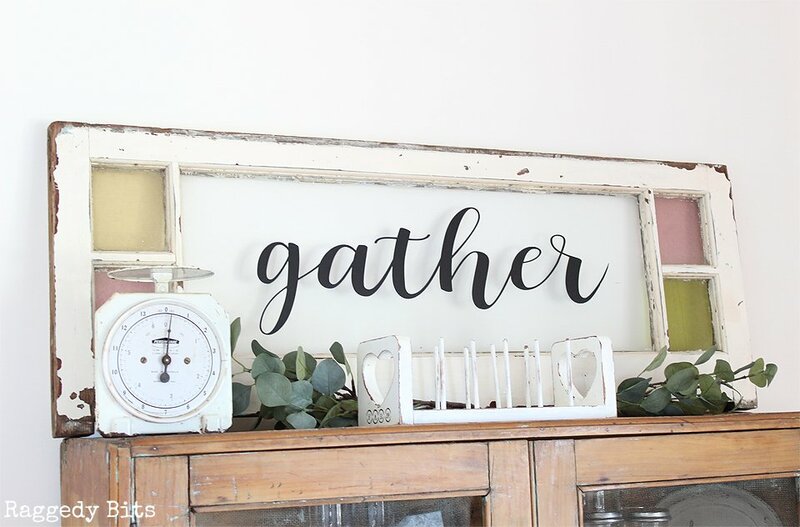 Remove the transfer paper from the Gather decal and apply your old window. Make sure you remove any air bubbles with an old store or credit card. 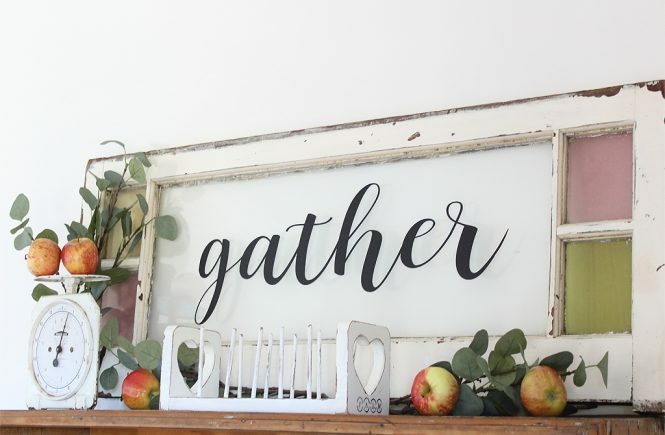 You could also paint the words gather onto the glass using glass paint. Step 1 – Find your spot that you want to make your vignette. 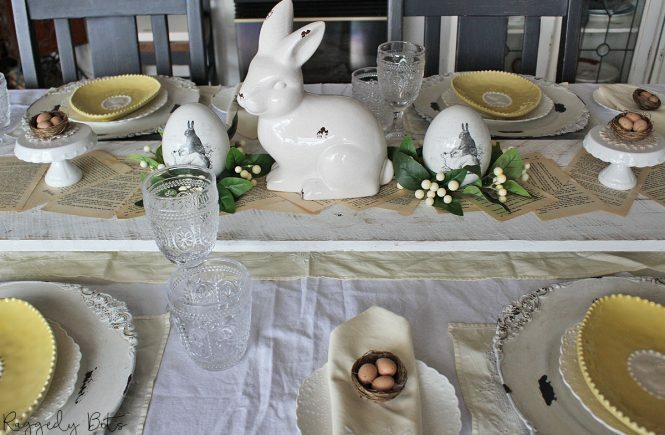 Start with your larger items and work your way down to the smaller items leaving the greenery until last. Step 2 – Scatter around your apples. Step 3 – Adjust all of your greenery so that it looks nice and full. 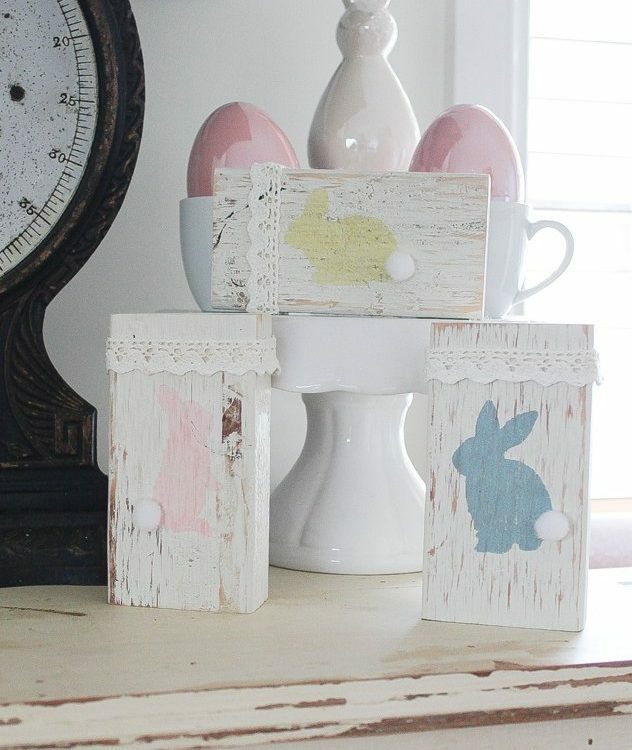 And there you have a really simple Vignette or any season vignette in a few simple steps! 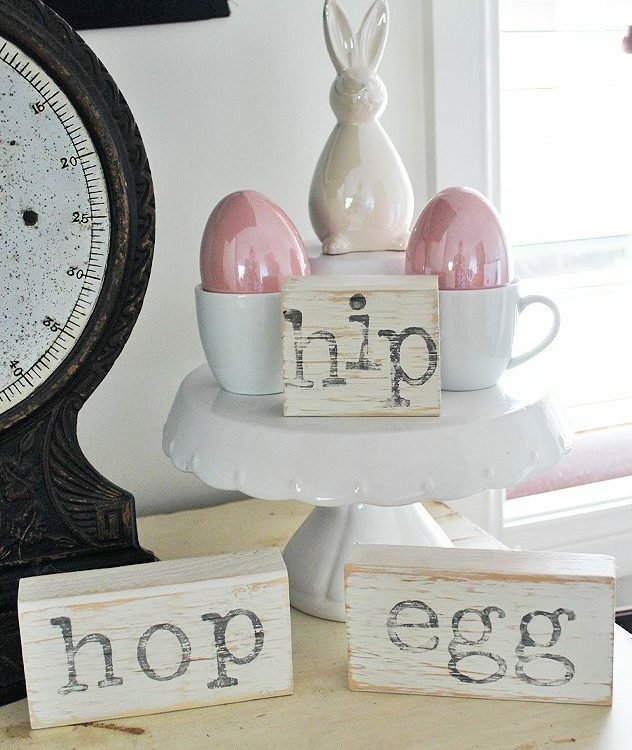 Be sure to check out what my Farmhouse Hen pals have been busy doing. Oh my Sam, this is gorgeous. 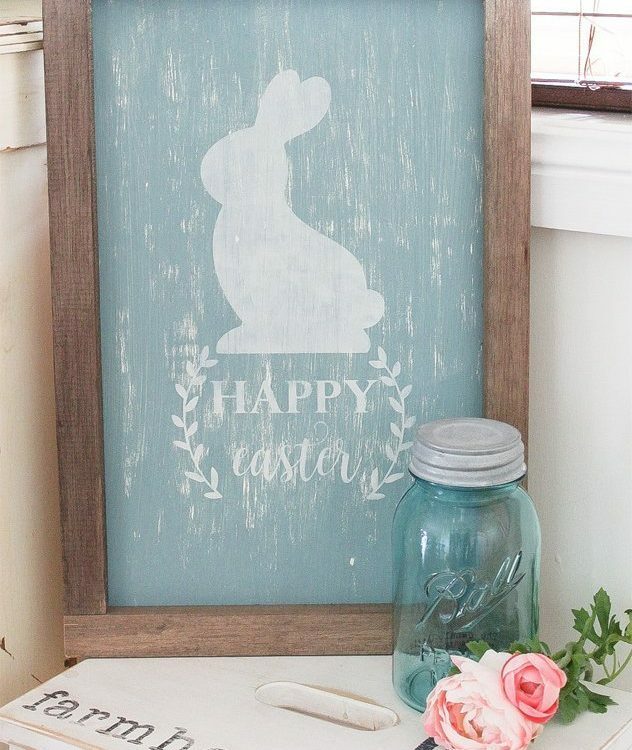 Did you paint the little window panes for faux stained glass? Your vignette is simplistic and beautiful. On top of that cabinets it breathtaking. Thank you, Leanna! The window is the real deal and came from an old house! Sam, this is so beautiful! So unique and I love the quote! Thank you so much, Carolann!! 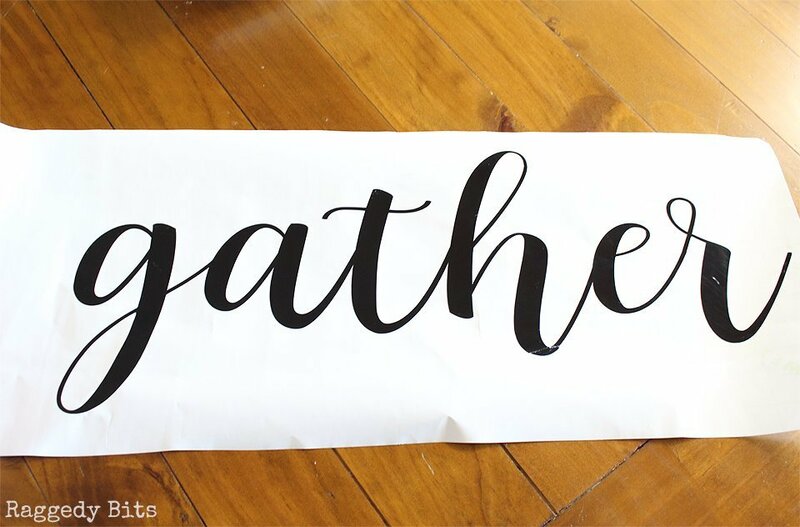 I love the word gather too! 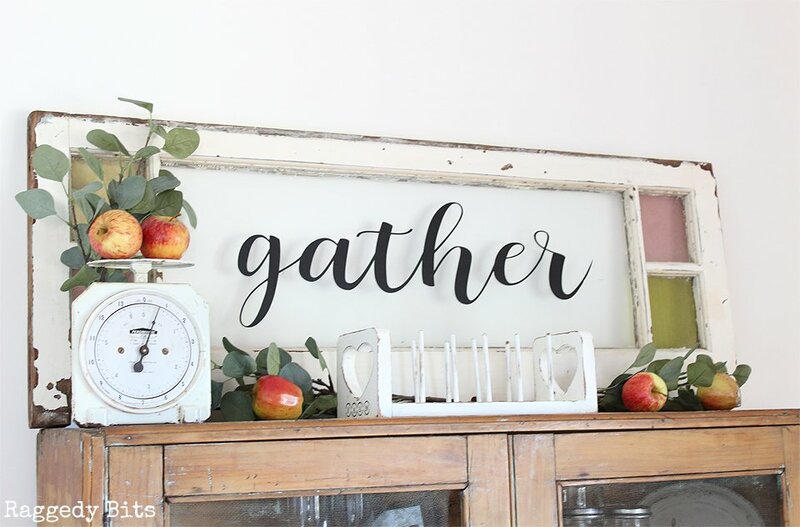 There’s something so homey about it! Ahh I love this cute vignette. 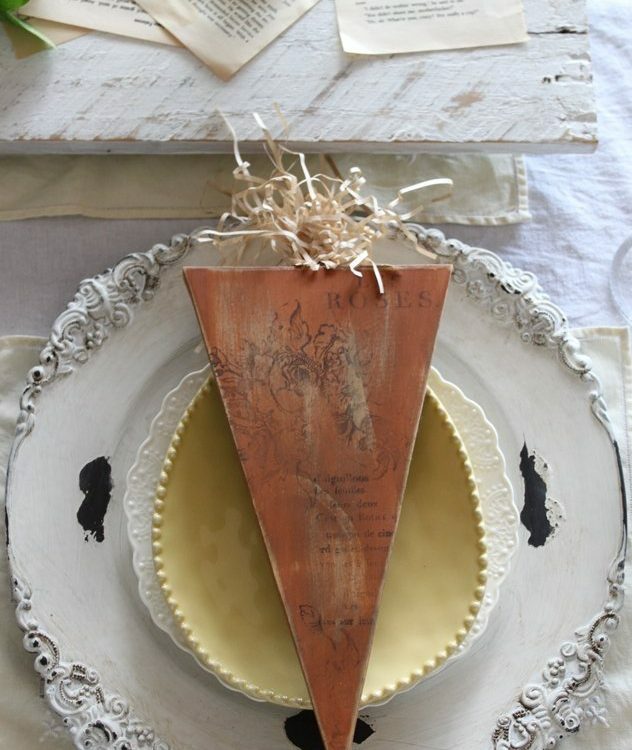 You have such a knack for putting together lovely decor from regular items. Aww, Toni, you’re the sweetest!! Thank you!! I am so jealous of your old window, Sam! Love those squares of color on the ends, makes a lovely frame for your Gather sign 🙂 Beautiful job! Thank you so much Tarahlynn!! 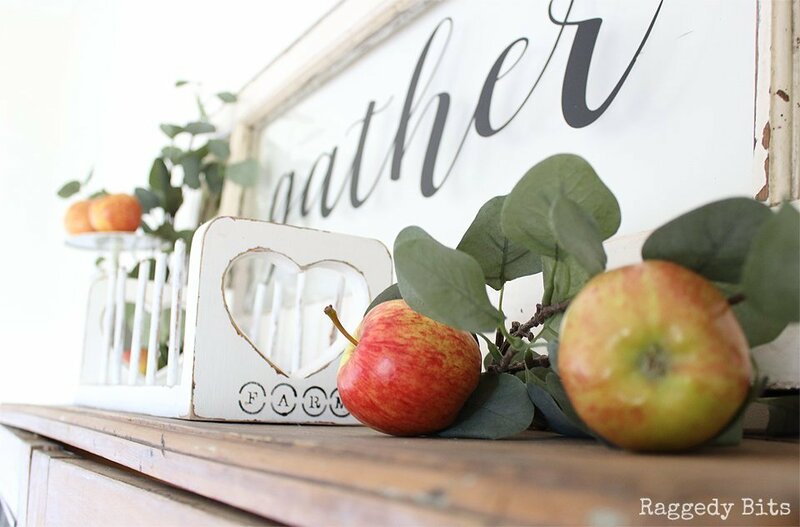 Love the vinyl on this window….looks great on top of your hutch too. Thank you, Denise! It sure was a fun project to make!! Ok, this is downright gorgeous! 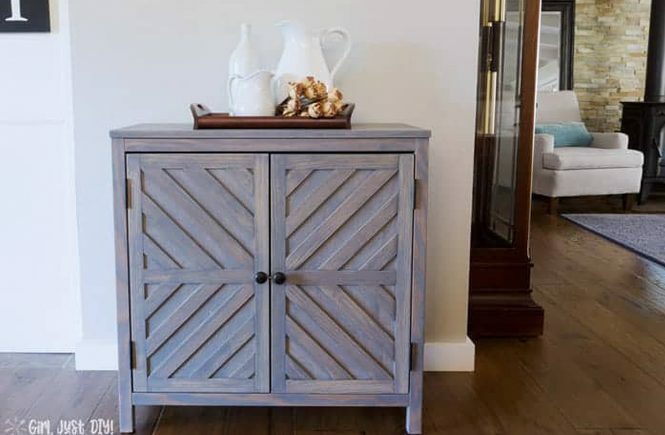 It is the perfect accent to your beautiful cabinet! Now I envy two things and need to find a window and a cabinet! You will Janine, I’m sure!! Absolutely GORGEOUS, Sam! 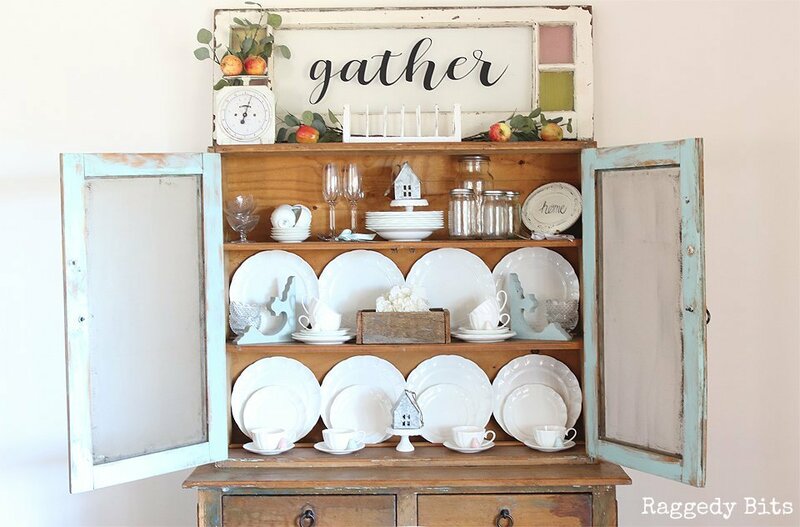 I love old windows, especially old cupboards. Thank you so much, Larissa!! Your comment means the world!!! Thank you so much, Amber!! Apples have a lot of sentiment to me because my Grandma use to own and apple orchid! So I feel like she is near when there are apples about!